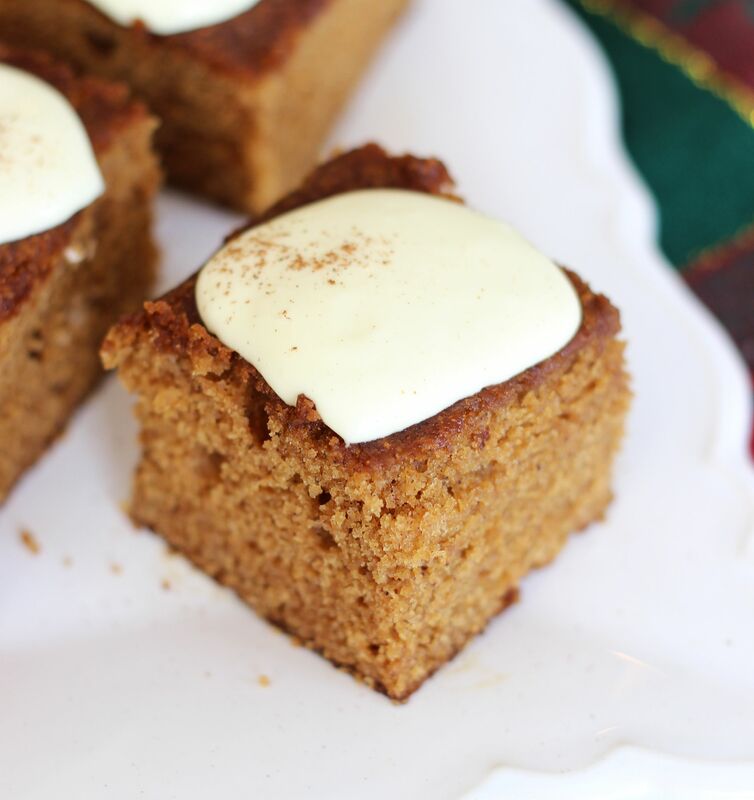 A recipe for a super moist, light, and fluffy gingerbread cake full of ginger, molasses, spices, and topped with a lemon cream cheese icing! I’ve said before that I’m not a huge ginger person. It’s weird to say that considering I’ll still eat and thoroughly enjoy every single gingerbread-type item that you put in front of me. I just pick other things over it. There are exceptions though. Namely, my family’s Cracked Top Ginger Cookies. They’re the best. 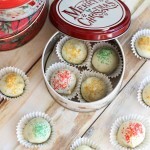 I was also a huge fan of these Gingersnap Chocolate Ganache Truffles. But again, I’d probably pick other things over gingery stuff most of the time. That said, I looooved this Gingerbread Cake with Lemon Icing. Every time I’d walk into the kitchen and see it on the counter, I’d stop to think “am I in the mood for ginger? Hmmmm.” Then due to an overwhelming need for a little sugar rush, I’d take a bite and remember how good it is. This cake is soooo moist, spicy, and molasses-y. I underestimate the deliciousness of ginger over and over again. The bottom line is, I really do like it. Like, a lot. I just sort of forget until a sugar craving strikes and I give into whatever confectionery treat is nearby! 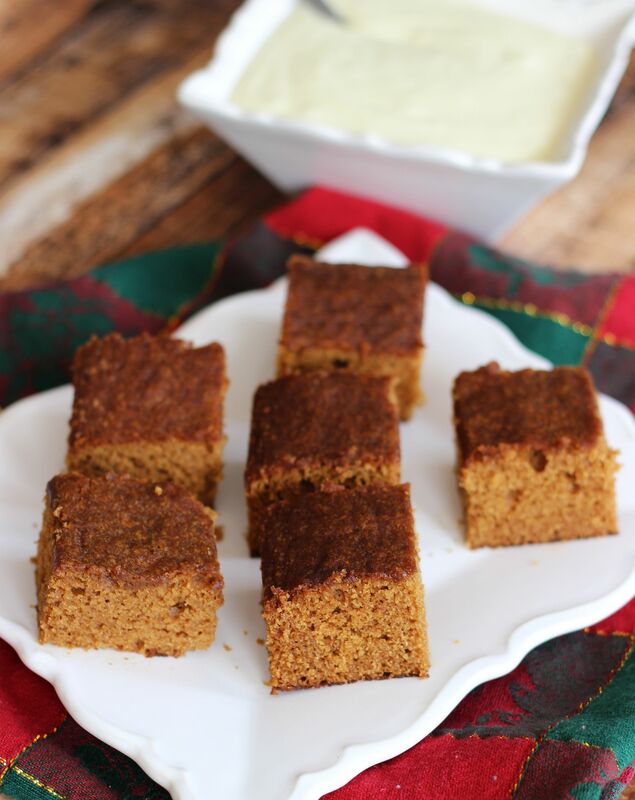 Recently, it was this gingerbread cake, and I had to make it because… well… Christmas is coming. Obvi. The holidays are not the same to me without 3 things: eggnog, peppermint, and gingerbread. Okay, I can think of about 854 more things that I need for Christmas to feel like Christmas, but for now, we’ll focus strictly on the gingerbread. It had to happen, for Christmas’ sake. This was the kind of cake where S.O. and I left two forks right in the pan at all times, and were just eating it straight out of the pan anytime we walked through the kitchen. No semblance of manners whatsoever. We weren’t shy about it. Totally unabashed, forks right in the cake. Not a care. It literally is the most moist cake ever. 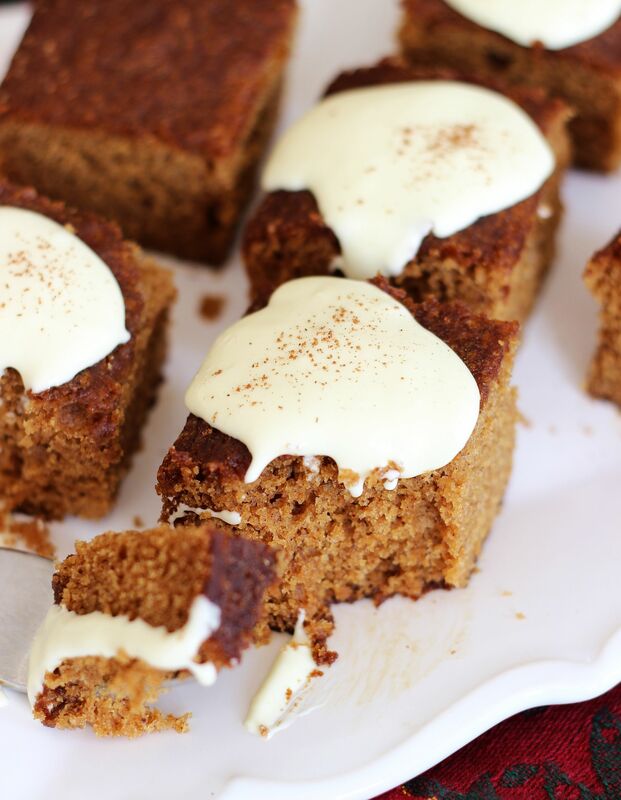 It’s fluffy, light, and bursting with molasses flavors, ginger and other spices. And the icing? A perfect counterpart to the cake. 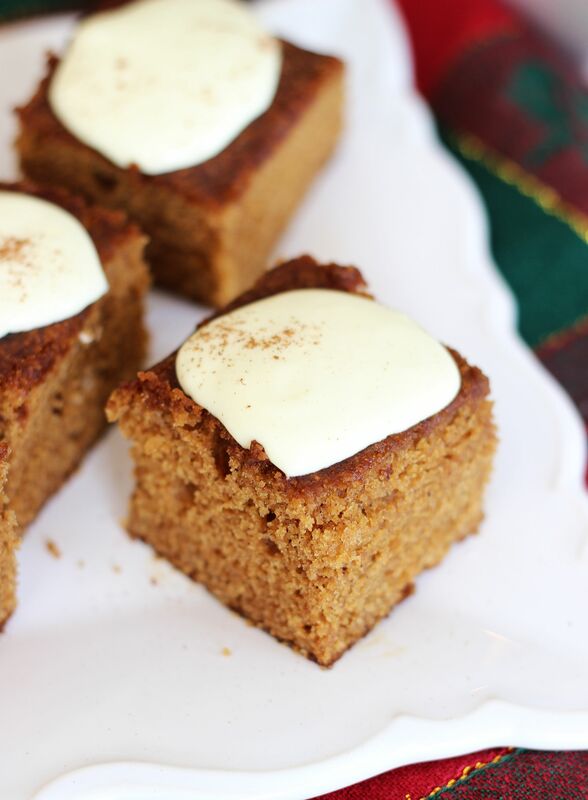 Gingerbread and lemon are a dynamic duo, after all. The lemon cream cheese icing is tangy, sweet, and creamy… you’ll want to laden your cake with a whole mess of this stuff. I’m not going to say that the icing is the best part because both the cake and icing are fantastic, buuuuut the icing is really where the sugar’s at. You get me? In a large mixing bowl, cream shortening and sugars until fluffy. Add in water and molasses. Beat until well-combined. Add to mixing bowl and beat until just combined. 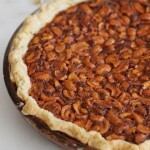 Bake at 350 degrees for about 30 minutes, or until a toothpick inserted near the center of the cake comes out clean. In a large mixing bowl, combine cream cheese, butter, powdered sugar, and lemon extract. If frosting needs to be slightly thicker, add powdered sugar as needed. Cake is adapted from this recipe by Taste of Home. Mmm, yum. That looks amazing. I’m with you on the gingerbread though, not usually my first choice, but I always really love it when I eat it! And Christmas really isn’t Christmas without gingerbread in some form or another! Right? It’s not my first choice at all, but I always love anything ginger-y that I eat! It’s odd. This cake was so good though because it was also just ridiculously moist! I’m excited for Christmas, but still NO shopping done. Ack! I’m not a huge ginger fan either, unless it’s in gingerbread cookies, cakes, brownies, anything Christmas related. 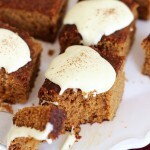 I’ve never had a gingerbread cake before so I’m absolutely loving this! My husband and I would totally eat this right out of the pan, too. I love how moist and fluffy it looks! And that lemon frosting on top is perfect! Delish! I love this, so simple but such amazing flavor!!! Thanks so much, Amanda!! I think ginger with citrus always seems to work, ya know? Have a great weekend! TGIF! Oh yum!!! I don’t think I would have ever thought to pair ginger bread with lemon, what a fun flavor combo! This looks great! Yay!! I love this simple and amazing cake. I’ve been ignoring gingerbread this year…I need to get some starting with this cake! Lol! 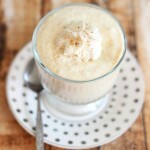 But you’ve been making up for it with awesome eggnog and cranberry recipes!! Really gorgeous stuff on your blog this week! TGIF! Have a great weekend, Zainab! Wow you have combined 2 of my favorite flavors Sarah – ginger & lemon!! Looks so good!! Yay! I’m so glad you like those flavors! I hope you have a great weekend, Manali! Sarah, I really love a simple cake like this… especially with ginger. I pick things over, too. But, I’m especially intrigued by the combination of the ginger and lemon. I really would love to devour this right now! Oh, delicious!! 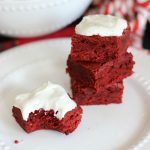 I’m totally guilty of keeping forks/spoons in pans of baked goods that are just TOO good to not sneak a bite of when walking past. I’m a gingerbread fan and this cake looks so so perfect. Love the lemon icing, too! 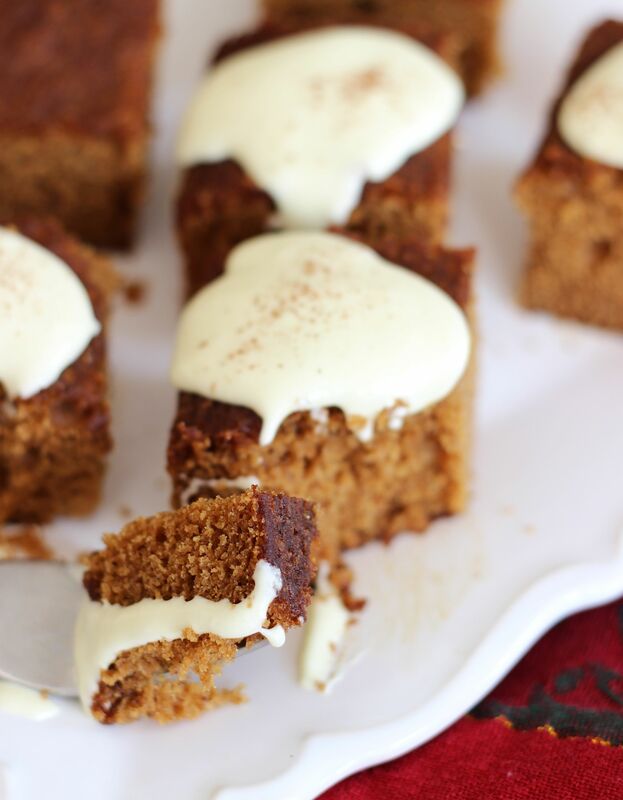 The lemon icing sounds like a fabulous combination with the gingerbread cake! 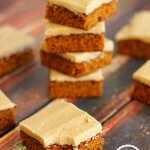 I adore gingerbread, I plan on making some soon. Paired with lemon, I can imagine this combination is delicious. This has been featured as one of my favourites over at Sweet and Savoury Sunday. Stop by, grab a button and link up again with us this week. Have a great day! I’m totally in love with this! YUMMY! Pinned and tweeted. We appreciate you being a part of our party. Gingerbread and lemon are such a tantalizing taste combination and I would never have thought of it myself. Yum!